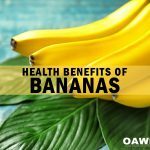 The many health benefits of plant extracts continue to weave their way into our everyday health routines. Pycnogenol is no exception and is, in fact, one plant extract that we all should pay attention to. Over 40 years ago, researchers first revealed the potential health benefits hidden in French maritime pine bark. 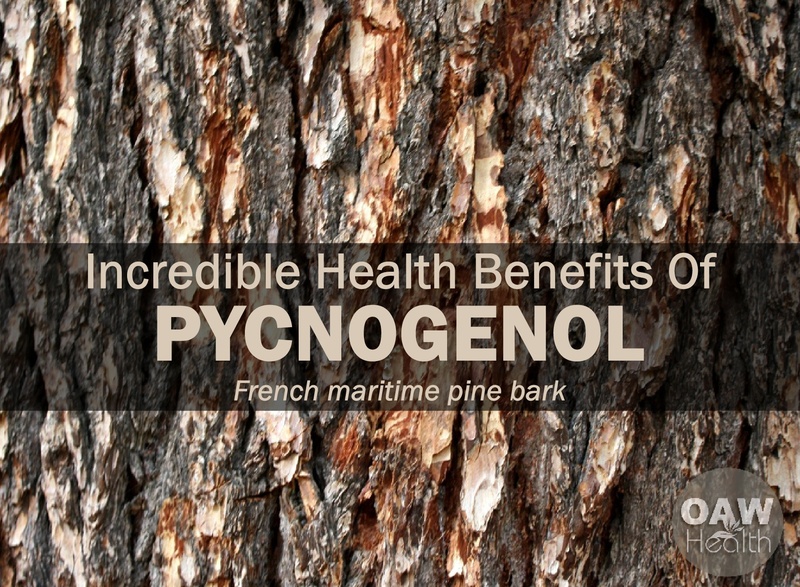 Pycnogenol (pic-noj-en-all) from French maritime pine bark is now one of the best well-researched supplements in the world. Widespread research continues on Pycnogenol’s likely benefits for blood sugar, fitness, and other quality of life issues. 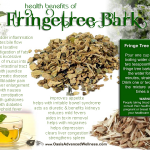 What gives pine bark extract its infamy as a super antioxidant is that it’s stuffed with oligomeric proanthocyanidin compounds (OPCs). OPCs can also be found in grapeseeds, the skin of peanuts and witch hazel bark. But what makes this sensational ingredient so amazing? While OPCs found in this extract are mostly known for their antioxidant-producing benefits, these remarkable compounds display antibacterial, antiviral, anticarcinogenic, anti-aging, anti-inflammatory and anti-allergic properties. It’s important to understand that Pycnogenol doesn’t target a specific organ, but instead, works through your entire blood vessel system which means a very wide range of health benefits can be experienced. Pycnogenol regulates proper inflammatory response through every blood vessel in your body and also supports and strengthens the miles and miles of blood vessels in your body…even the microvessels in your eyes. Supporting your vision is a critical part of maintaining independence and quality of life as you age. 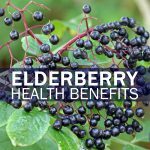 This incredible antioxidant helps to strengthen the capillaries in the retina and has even been shown to halt the progression of vision loss in those who suffer from diabetic retinopathy. Five clinical studies with over 1,000 patients proved that Pycnogenol supported healthy retinal blood vessels and microcirculation in the retina. In a three-month study, people who took 150 mg of Pycnogenol per day had a 30% greater increase in retinal blood flow compared to those taking the placebo. Visual acuity was also improved. There are two important ways Pycnogenol helps your brain and cognitive function. 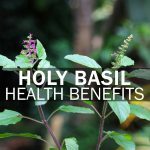 First, it promotes blood flow—which is vital for the health and well-being of your brain. Pycnogenol also increases levels of nitric oxide, and this is great for mental sharpness. In a recent Pycnogenol study in the Journal of Neurosurgical Sciences with participants ages 35 – 55, 150 mg a day of Pycnogenol was shown to support mental performance, attention; improve mood, and reduce oxidative stress by 30%. Many people don’t realize how closely healthy ears are linked to healthy blood vessels. You need a robust blood supply to bring oxygen and nutrients to your cochlea—the inner-ear organ responsible for hearing. 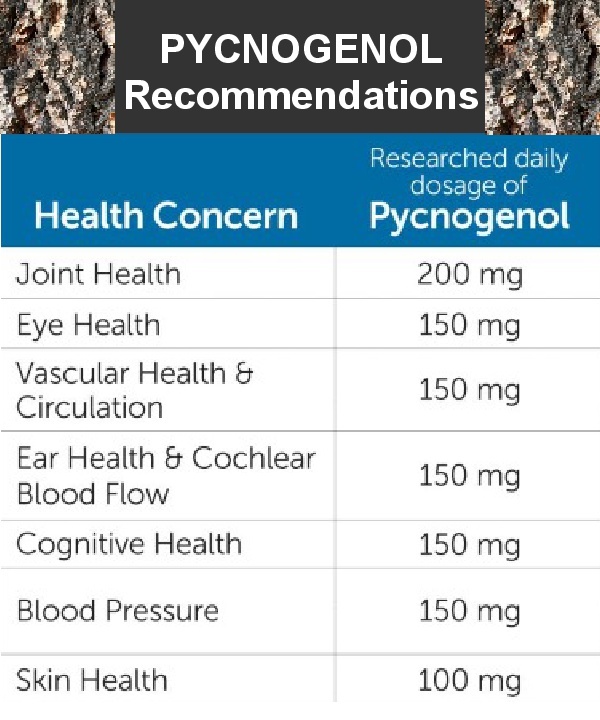 Pycnogenol improves circulation to your inner ear. Pycnogenol has been shown to improve microcirculation to the cochlea, which helps reduce occasional ringing and support the overall health of your inner ear. In a six-month study at the Chieti-Pescara University in Italy, a group of individuals took 150 mg/daily of Pycnogenol or a placebo. When they were retested after three and six months, individuals taking Pycnogenol had significant improvement in inner ear blood flow, compared to the placebo group. Statistical significance was related to a lowering in plasma endothelin-1 biomarker. At three months, 45% of those taking Pycnogenol had improvements in occasional ringing in the ears compared with 23% in the control group. Circulation itself is the action of blood flow when blood is pumped from your heart through your blood vessels to your brain, organs, and limbs—and then back around again. You need it to be easy for your blood to flow everywhere so it can deliver much-needed oxygen and nutrients. When it comes to blood circulation, Pycnogenol has been found useful in helping treat venous ulcers, protecting against clots in veins from the exterior to the interior of the body and improving venous blood circulation in the legs. A 2011 study has again confirmed the benefit for venous leg circulation. Chronic venous insufficiency (such as varicose veins) affects as many as 25 million Americans and causes more days lost to work than artery disease. While circulation is the movement of blood through your cardiovascular system, blood pressure is the actual force the blood has as it pushes against the sides of your blood vessels You want it to be nice and normal, so your heart does not need to pump harder, and your arteries are not under strain. In a randomized, double-blind, placebo-controlled study, individuals were given 125 mg of Pycnogenol or a placebo daily. Supplementation with Pycnogenol helped promote healthy blood pressure levels, with statistically significant reductions in markers of blood vessel constriction. Statistical significance was related to a lowering in plasma endothelin-1 biomarker. Clinical Grade Pycnogenol not only helps improve joint comfort, it also promotes healthy joint function thanks to its abilities to support a normal inflammatory response. Remember, Pycnogenol helps regulate inflammation signals—and these are the same signals that can make your joints feel achy and stiff. Pycnogenol inhibits inflammatory COX enzymes, including both the COX-2 and 5-LOX. And it’s been shown to lower another inflammatory signal called C-reactive protein (CRP). CRP is produced in the liver and its levels rise in response to inflammation. By lowering CRP and inhibiting COX enzymes, you’ll feel improvement in both your joint comfort and flexibility. In a double-blind, placebo-controlled study, individuals taking 200 mg/daily of Pycnogenol had significant improvements in joint discomfort, function, and performance on a treadmill. In another clinical study, Pycnogenol lowered the inflammatory marker CRP by 72%, while only an 8% reduction was observed with the placebo. Boosts hyaluronic acid—the moisturizing component of collagen—that starts to decrease after age 30. According to findings from a recent study published in Skin Pharmacology and Physiology, in 12 weeks of supplementation, Pycnogenol boosted skin elasticity, skin hydration and hyaluronic acid production. According to research, Pycnogenol may help normalize blood sugar levels by slowing the absorption of carbohydrates and consequently lowering the glucose load of the blood stream. A 2007 study conducted at the University of Wurzburg Germany and published in The Journal of Diabetes Research and Clinical Practice revealed that Pycnogenol delayed the uptake of glucose from a meal 190 times more than prescription medications, preventing the typical high-glucose peak in the blood stream after a meal. The study revealed the pine bark is more potent for suppressing carbohydrate absorption in diabetes than synthetic prescription alpha-glucosidase inhibitors. For men to maintain healthy sexual function, we must have good circulation. Simply put, erections depend on healthy blood flow. Pycnogenol’s ability to support production of nitric oxide (NO) is the key to its sexual health benefits. According to a 2015 Japanese study, the use of both Pycnogenolt and L-arginine “is helpful for erectile dysfunction. Forty-seven Japanese men with mild erectile dysfunction were given supplements of both L-arginine and French maritime pine bark extract over a period of time. The studies revealed that the sperm concentration greatly increased after about eight to 16 weeks of treatment, to include improved orgasmic function. No side effects were seen, unlike its synthetic counterpart. Promising and growing research shows Pycnogenol can help with spider and varicose veins. The main reason is due to its strengthening effect on the vein wall, which promotes healthy veins on the inside and their appearance on the outside. If you choose to use Pycnogenol, follow the dosage instructions on the label. It’s always best to check with a knowledgeable healthcare practitioner who knows your health history concerning the correct dosage for your concerns. Below is a guideline for the use of Pycnogenol. Rohdewald P. A review of the French maritime pine bark extract (Pycnogenol), a herbal medication with a diverse clinical pharmacology. Int J Clin Pharmacol Ther. 2002 Apr;40(4):158-68. Nishioka K, Hidaka T, Nakamura S, Umemura T, Jitsuiki D, Soga J, Goto C, Chayama K, Yoshizumi M, Higashi Y. Pycnogenol, French maritime pine bark extract, augments endothelium-dependent vasodilation in humans. Hypertens Res. 2007 Sep;30(9):775-80. Cong H, Zhong W, Wang Y, Ikuyama S, Fan B, Gu J. Pycnogenol® Induces Browning of White Adipose Tissue through the PKA Signaling Pathway in Apolipoprotein E-Deficient Mice. 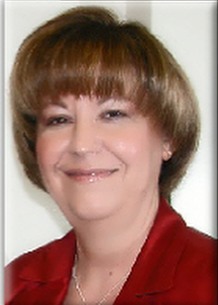 J Diabetes Res. 2018; 2018:9713259. Epub 2018 Jan 17. Marini A, Grether-Beck S, Jaenicke T, Weber M, Burki C, Formann P, Brenden H, Schönlau F, Krutmann J. Pycnogenol® effects on skin elasticity and hydration coincide with increased gene expressions of collagen type I and hyaluronic acid synthase in women. Skin Pharmacol Physiol. 2012;25(2):86-92. doi: 10.1159/000335261. Epub 2012 Jan 21. PMID:22270036. Errichi S, Bottari A, Belcaro G, Cesarone MR, Hosoi M, Cornelli U, Dugall M, Ledda A, Feragalli B. Supplementation with Pycnogenol® improves signs and symptoms of menopausal transition. Panminerva Med. 2011 Sep;53(3 Suppl 1):65-70. PMID: 22108479. Sime S, Reeve VE. Protection from inflammation, immunosuppression and carcinogenesis induced by UV radiation in mice by topical Pycnogenol. Photochem Photobiol. 2004 Feb;79(2):193-8. PMID:15068032. Belcaro, G., M. R. Cesarone, et al. (2005). “Venous ulcers: microcirculatory improvement and faster healing with local use of pycnogenol((r)).” Angiology 56(6): 699-705. Belcaro G. Prevention of venous thrombosis and thrombophlebitis in long-haul flights with pycnogenol. Clin Appl Thromb Hemost. 2004 Oct;10(4):373-7. Cesarone MR. Comparison of Pycnogenol and Daflon in treating chronic venous insufficiency: a prospective, controlled study. Clin Appl Thromb Hemost 2006; 12(2): 20512. Cesarone MR. Improvement of signs and symptoms of chronic venous insufficiency and microangiopathy with Pycnogenol: A prospective, controlled study. Phytomedicine 2010; 17:835-839. Grether-Beck S, Marini A, Jaenicke T, Krutmann J. French Maritime Pine Bark Extract (Pycnogenol®) Effects on Human Skin: Clinical and Molecular Evidence. Skin Pharmacol Physiol. 2016;29(1):13-7. doi: 10.1159/000441039. Epub 2015 Oct 23. Kobori Y, Suzuki K, Iwahata T, Shin T, Sadaoka Y, Sato R, Nishio K, Yagi H, Arai G, Soh S, Okada H, Strong JM, Rohdewald P. Improvement of seminal quality and sexual function of men with oligoasthenoteratozoospermia syndrome following supplementation with L-arginine and Pycnogenol®. Arch Ital Urol Androl. 2015 Sep 30;87(3):190-3. doi: 10.4081/aiua.2015.3.190.